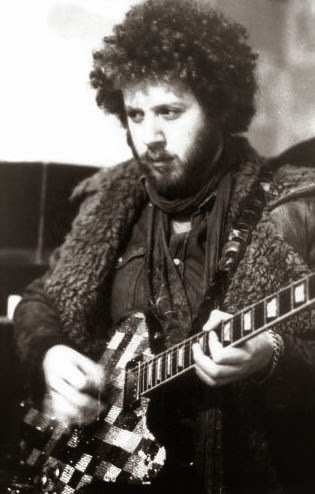 Adrian Gurvitz was born in 1949 in Stoke Newington, London. He started playing guitar at the age of eight and had his own band (Gun) at sixteen. He was lead guitarist/singer with the band and they had great success with "Race With The Devil"(1968). Adrian joined the Buddy Miles Express and wrote songs for the band for two years. On his return to the UK he formed Three Man Army (with his brother, Paul) and signed with Reprise Records. A Third of a Lifetime was their first album and featured several drummers, including Miles Davis, Carmine Appice (Vanilla Fudge) and Mike Kellie (Spooky Tooth). Tony Newman (Sounds Incorporated). Rod Stewart sang on the group's next two albums. The band played a mixture of heavy blues and instrumentals and toured the US with The Doobie Brothers and The Beach Boys before breaking up. In 1974 the Gurvitz brothers joined Ginger Baker (ex Cream) in the Baker Gurvitz Army. The band signed with Atlantic Records and produced three well crafted albums; Baker Gurvitz Army (1974), Elysian Encounter (1975) and Hearts on Fire (1976). Baker was an expert rock/jazz drummer and the band produced some excellent hard rock. When the Baker Gurvitz Army broke up in 1976 Adrian joined the Graeme Edge Band as lead singer and song writer. The group made two albums and enjoyed some chart success in the US. Adrian went solo in 1978 and recorded two albums with Jet Records. In 1982 "Classic," was released and took Adrian to the Top Ten. By the late 80s Adrian had signed as a song writer to Warner Chappell Music. He wrote "Even if My Heart Would Break" which was recorded by Aaron Nevil & Kenny G.
Throughout the nineties he continued to write, produce and record. He worked as producer and song writer for Walt Disney Records working with Jesse McCartney, Cheetah Girls and Anne Hathaway. He also produced many of the Disneymania soundtracks, which landed him three gold albums. In 2011, Gurvitz produced the song "Stevie on the Radio" for Pixie Lott featuring Stevie Wonder on her album Young Foolish Happy. The album went Gold in the UK. Most recently, Gurvitz has worked with Ziggy Marley and Andra Day, among others. Andrian Gurvitz is one of the greatest musical talents to emerge from the 70s and has shown himself master of many genres.